How to reach us by sea. How to reach us by plane. 35,-Euro daily for 2-rooms apt. 45,-Euro daily for 3-rooms apt. A few kilometers from the residence's Olivette The town of Santa Teresa di Gallura, famous for the pristine land and its natural features of the northern part of Sardinia. 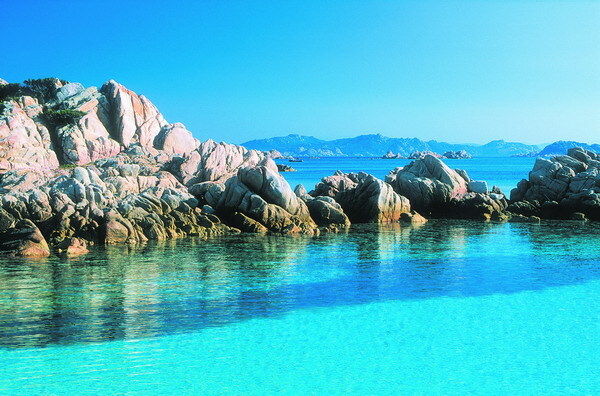 Palau boasts some of the most beautiful beaches of Sardinia. In addition to the main beaches, beautiful bays and coves. The Residence Le Olivette is located a few miles from the archipelago of La Maddalena, one of the many gems of Sardinia. “Le Olivette” Residence is situated in the town of San Pasquale, between Santa Teresa di Gallura (16 km) and Palau (11 km). It’s high position in the hills overlooks a fantastic sea view of the La Maddalena archipelague. The residence complex is formed by 20 self-catering apartments, 2-room and 3-rooms and has a swimming pool with a solarium terrace equipped with sunbeds and umbrellas distributed free of charge for all guests until fully occupied. The apartments are furnished simply but functionally. The initial laundry (bed and bath linen) is supplied free of charge and all apartments have a colour Tv. The center of San Pasquale is about 100 meters far from the residence complex where there are some small shops that sell various merchandises such as a general grocery store, a butcher shop, a tobacconist/ newsagent/bar, bank and medical surgery. The beach of Isola dei Gabbiani (Seagull’s Island) is approximately 8 km far from San Pasquale. The beach of Porto Liscia is 6 km far. Both these beaches are ideal for families with children due to its low tide and sandy seabed. A part of the beach is reserved for windsurfers who come from all over Europe.